With the housing market booming, it’s an ideal time for homeowners to list their homes for sale. And if you know anyone who has recently sold their home, we’re almost positive you’ve heard stories of them receiving more than asking, which is excellent! But did they actually get that extra 25k? What is the Actual Sales Price of a Home? The price you see for a home on listing sites (i.e. Zillow, Redfin, public record, etc.). is actually the gross sales price, which doesn’t include any closing costs or concessions at closing. When looking at the MLS, there will be three prices listed: original price, sale price, and seller concessions at closing. The original price is what buyers see when house hunting, but the actual sales price of a property is the one that is listed next to the “Sale Price” section of the MLS. For example, if a home has an accepted offer of $492,000 with a seller concession of $8,000, the actual net sales price of the home is $484,000. If you’re in the process of listing your house and considering the prices of the homes that have recently sold in your neighborhood or town in the recent weeks, the actual selling price of those homes is most likely lower than you think! Your neighbor originally listed their home for sale for $500k and they accepted an offer of $492k, but there was $8k in closing costs or concessions. From your point of view, the sellers sold their home for $492k when the house actually sold for $484k. Knowing the difference between the gross sale price and the actual net sales will allow you to list your house and accept a price that is more aligned with the average cost of your area. Sellers be aware that pricing your home right is absolutely essential in obtaining strong offers faster and for more money. Many homes in the beginning of the year were sold for over asking because the inventory makes the market very competitive. Fall is less competitive, homes take a bit longer to sell, and don’t always go for over asking. Regardless of timing, an aggressive listing price will attract the right buyer. When the offer you want comes in, don’t turn your nose at one that’s less than what your neighbor received a few months ago. 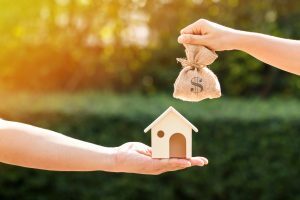 You don’t REALLY know what they got at the close of the deal, and you don’t want to unreasonably deny or counter a reasonable offer on your home. You could lose it and be back to square one! Our expert realtors know how to get your home sold faster and for more money. Contact us today to discuss what the market value is on your home today!